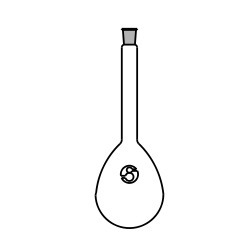 Our customers can avail Volumetric Flask from us. 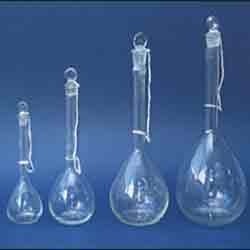 We manufacture this range of flasks in accordance with the standard of glass tubing of clear/amber borosilicate 3.3 glass. 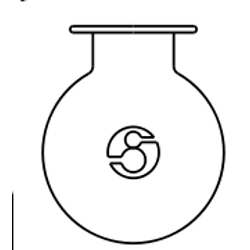 Our flasks are manufactured using quality-approved raw material. 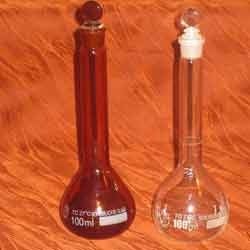 We also supply this array of flasks according to class A and class B with permissible volume tolerances. In addition to this, we offer certificate of accuracy for class A. 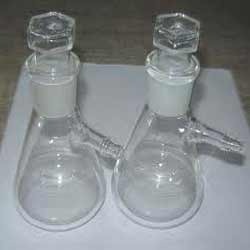 To cater the requirements of our valued clients, we are engaged in offering Multi-Necks interchangeable Joints Flasks. These products are very efficient and perfectly designed owing to experienced work force and modern machinery. Our products are manufacture with world-class raw materials obtained from the top vendors in business. Moreover,the products are thoroughly checked to ensure perfect delivery to our esteemed clients. 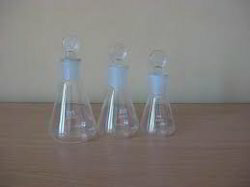 Our expertise in this industry has enabled us to offer a range of Conical Flask With Stopper. 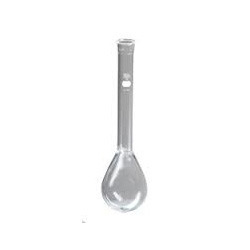 Developed using premium quality raw material, which ensures excellent durability at its user end. 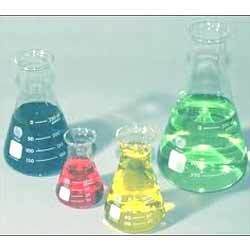 To meet the variegated requirements of our valuable clients, we also offer these laboratory products in different specifications as per the patrons requirements. 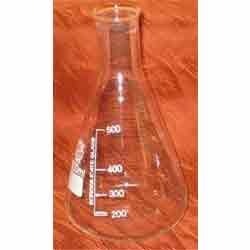 We are manufacturing a range of Flat Bottom Flasks. 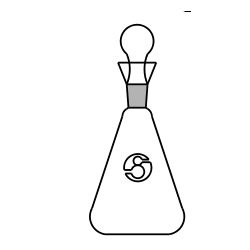 This range of products is used in various research laboratories for conducting several experiments. 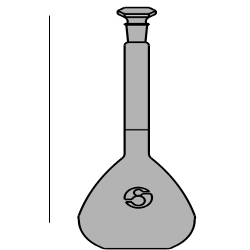 We also monitor the quality of these flasks on the base of standard parameters. The expert team of our quality controllers also monitor the manufacturing process of these consignments. 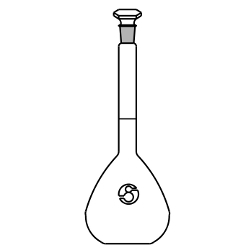 The Glass Rotary Evaporator Flask offered by us is used in various labs and research units. 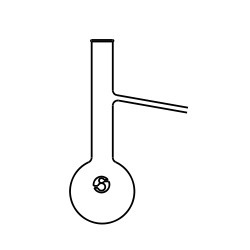 We procure only qualitative raw material from trusted vendor base of the industry. This help us to offer a defect-free range of products to our esteemed customers. Used for conducting various tests and experiments, our products are checked on the basis of various defined parameters. 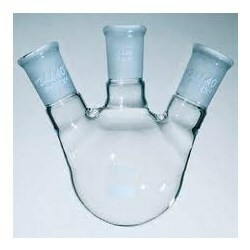 We are dealing in Flasks Pear Shape Three Necks. 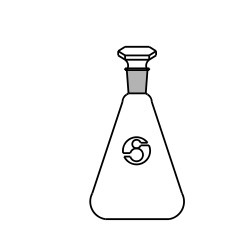 This range of products is used in various laboratories. 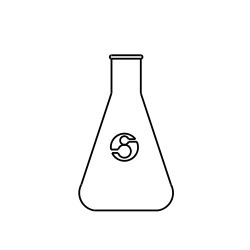 In addition to this, we also utilize premium raw material and latest technology in the fabrication process of these lab products. This help us to offer a defect-free range of consignments to our numerous customers. Our highly experienced quality controllers also check the products on the base of several standard parameters before the final delivery to the customers' premises. 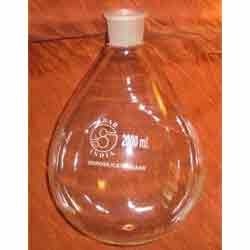 With the assistance of our expert team of engineers we are manufacturing Round Bottom Flask. 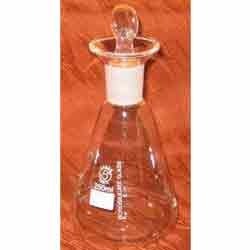 Exclusively used for mixing various chemicals, these flasks are manufactured using only durable and quality-approved raw material. We also check these range of consignments on the base of various well-defined parameters. 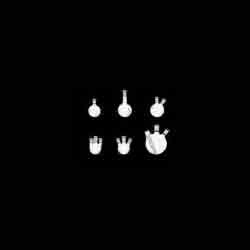 In addition to this, we also offer this range of products in various specifications to maximize the gratification level of our esteemed customers. 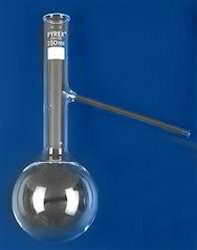 Relying on our rich industrial experience we are offering Glass Filtration Flask. This whole range of products is manufactured using qualitative raw material and cutting-edge technology. 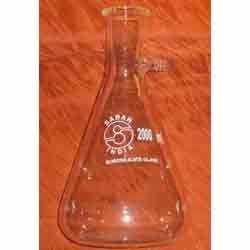 Widely used in various labs and industries, our flasks are offered in various customized specifications. We also pack these products with durable material to assure a complete safe transit of the consignments to the customers. 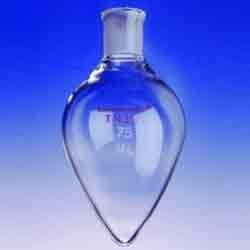 Backed by the profound experience of the clients, we are offering an exquisite range of Glass Conical Flask. Our organization assure to provide an unbeatable range of offered products, which is highly demanded by the customers. 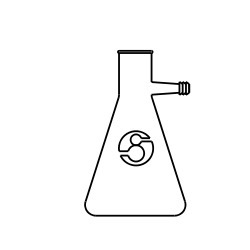 These products are extensively used in chemistry laboratories for various chemical reactions. 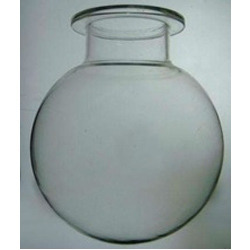 All these products employs optimum space utilization and are manufactured from finest quality glass, owing to which it does not break easily.